PAISANA is the friendly term to call friends of the same town , PAISANA is the femenine form of Paisano , in the Andes is common to be called Paisano instead of friend, In the north of Peru is the most natural way to know the people. This Handbag represent a PAISANAS meeting sitting at the floor like they do at the andes towns. Beautiful Handmade sheep wool square handbag PAISANAS An sport and practical accessory, very strong and made of peruvian wool that let you carry on all your things in a comfortable way. It is preferred by travelers and students. There are several , design, and colors. It is a great gift for friends and family , this Handmade sheep wool square handbag PAISANAS is high quality at low price, and the best is free shipping .You can start collecting the Incastreasures bags. 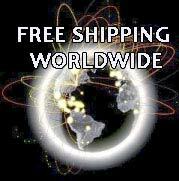 We will add a free gift with your Handmade sheep wool square handbag PAISANAS . The most original gift , by fair trade artisans, no animals were harmed to make this Handmade Handbag.